I’ve always wanted to make a lavender eye pillow. When I was in Paris I even brought home some French dried lavender. I searched the web for just the right tutorial and didn’t find exactly what I wanted, so I decided to create my own version. I give credit at the bottom of this post to those tutorials already posted on the Internet where I got my ideas for finished size, amounts of filling to use, and the separate cover. 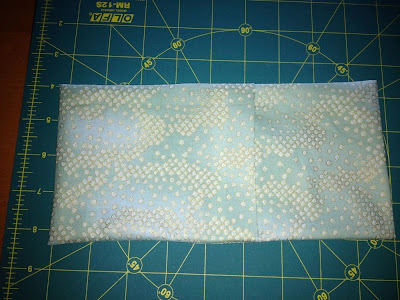 4.5” x 18.5” Muslin or any fabric you want for the inner pillow. It will be hidden inside the cover. 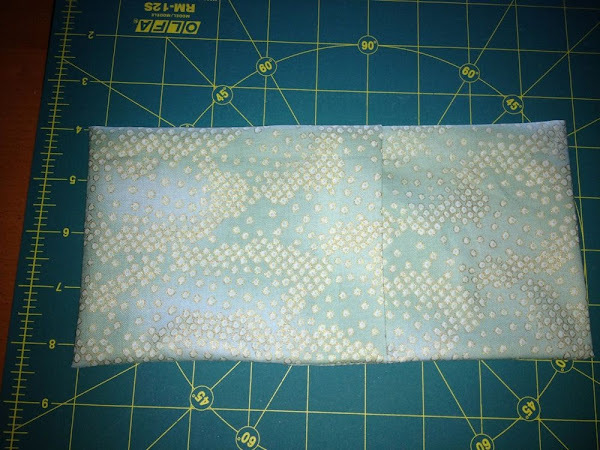 5” x 22” Fabric for outer cover. I used a 100% cotton Asian print from Hoffman. You could also use a silk. 1. 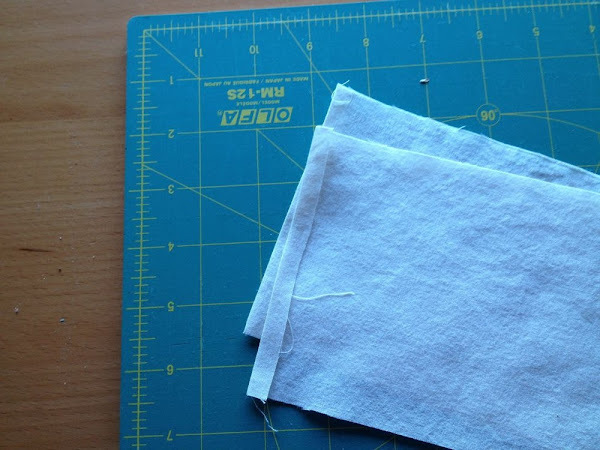 Cut your muslin fabric 4.5” by 18.5”. You will fold it in half lengthwise. 2. 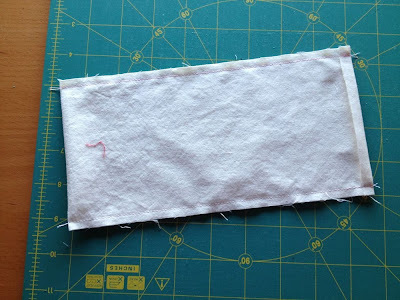 Press the narrow ends of the muslin under 1/4”. 3. Sew the side seams together on the muslin leaving the end open. 4. Turn the pillow right side out. 5. 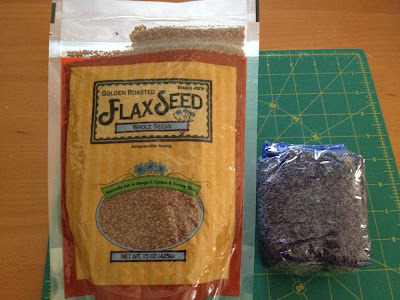 Measure out 1 cup of flax seed and 1/2 cup lavender. 6. Mix the flax seed and dried lavender together so they are well distributed. I used a flexible plastic container so I could squeeze the top like a spout when pouring into the opening of the pillow. 7. 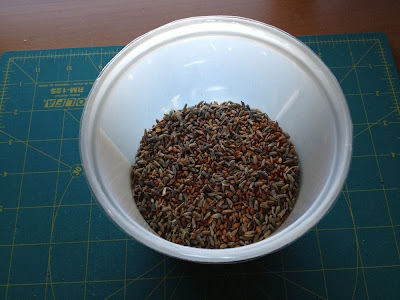 Pour the flax seed and lavender mix into the the open pouch. 8. Pin the open end together. 9. Stitch with a fairly small stitch to keep the filling from leaking. I used a 2.0 stitch to do this. Your inner pillow is complete. 1. Cut your cover fabric 5” x 22” or half the WOF is close enough. Perfect use for a FQ. 2. 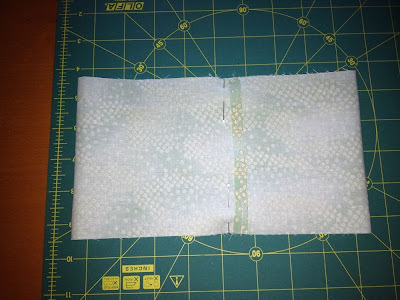 Press the narrow ends of the cover under 1/4” and top stitch. 3. 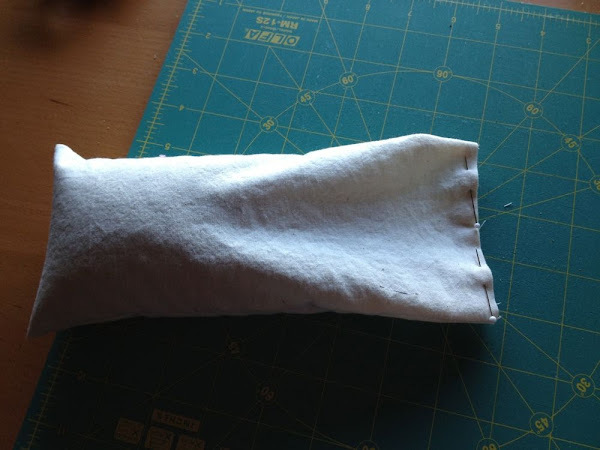 Fold one end under approximately 1” and press. 4. 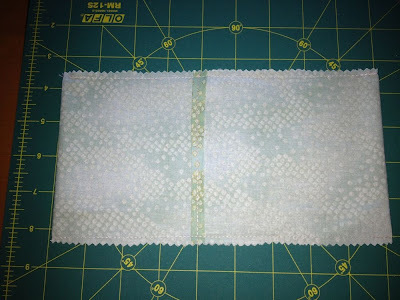 Lay out the the outer fabric with right side up and center the pillow lengthwise. 5. Fold over the end with the folded edge to the middle first. 6. Then fold the end with the 1/4” hem on top. 7. Pin where these two edges meet. This is the back of the cover. 8. 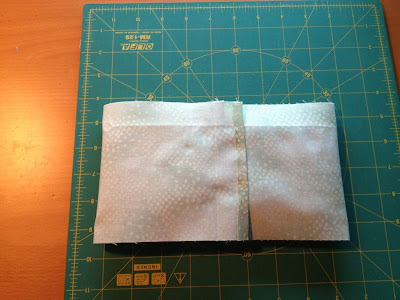 Remove the pillow from the cover and pin the back to the front so the folded edges are approximately in the middle. 9. 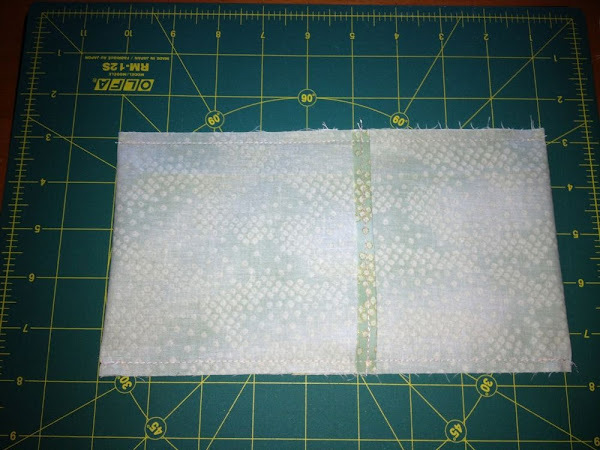 Sew each side of the cover, backstitching at both ends. 10. Optionally, finish your seam allowance with a zigzag stitch or pinking shears. 11. Turn the cover right side out and poke out the corners so they are square. 12. Insert the pillow as you would any throw pillow into a cover with this type of opening. I gave several of these as gifts this year for Christmas. I included a card that gave the contents of the filling and care instructions for the outer cover. They were a big hit. 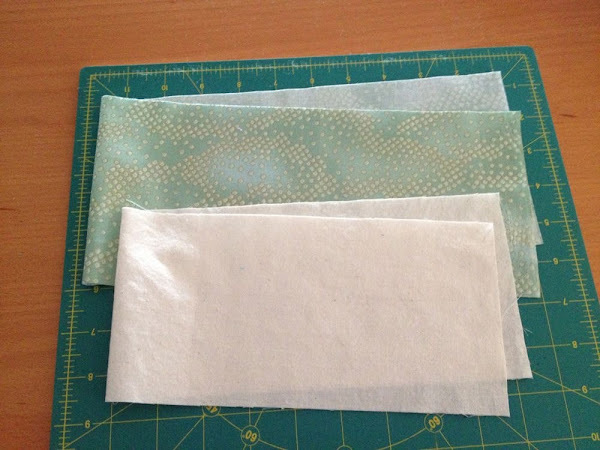 Feel free to use this tutorial to make your own eye pillow or gifts for others. But please do not publish these instructions as your own. This is exactly what I was looking for. I’m making them for patients in a dental office so I wanted a washable cover. I’m going to use left over flannel from t-shirt quilts for the covers. This is perfect. Thank you! Thank you for this! I just made 4! They are soon pretty! 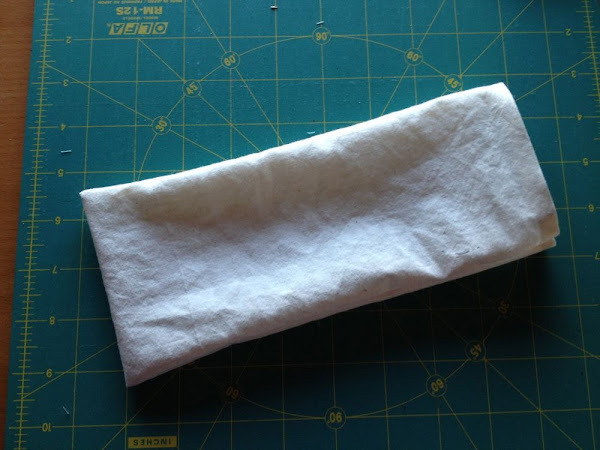 Great Instructional on making lavender eye pillows. I appreciate you sharing this. I’m afraid I can’t help you on whether it’s okay to put silk in the microwave. Sorry. 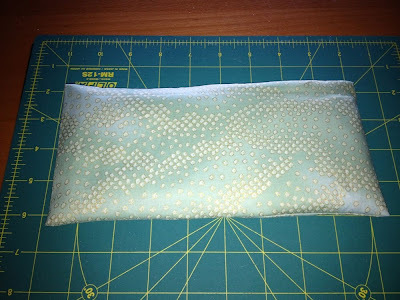 I like how watching how to make a Flax And Lavender eye pillow. This a r tickle was helpful step by 🚶 step instructions.. I sewed in High School, haven’t since then. Thank you for the pattern. It is super easy. I found the length of 22″ for the outer bag to be too long, so I cut it to 20″ and it works like a charm. I also found that 1/2 cup of lavender too overwhelming, so I put in a heaping 1/4cup and it’s not too much aroma, but just enough. I really like that the outer cover can be removed for cleaning. In regards to the asking of heating it, I wouldn’t heat it any more than 30 seconds at a time. If you are going to put it on your head or eyes, you will not want it too hot and the longer it’s heated, you run the risk of the flax seeds popping. This is great, easy to follow tutorial! Thank you for sharing. I’m working on making some as Christmas gifts for yoga, meditation and plain relaxation. Oh my goodness thank you so much for sharing this! I couldn’t quite find a tutorial online as thorough as this and the photos were so helpful. I feel so accomplished after making 4 of these (one for myself of course). I used a nice silk fabric for the covers I found in the remnants section of my local fabric store for only $1.97. Gratitude! I will likely make more for gifts in the future 🙂 Perfect for all the yogis in my life! And yes you can heat the pillows, maybe 30 seconds at a time till you reach a good warmth. I was instructed to use 100% cotton thread though for microwaving! Thank you, thank you! 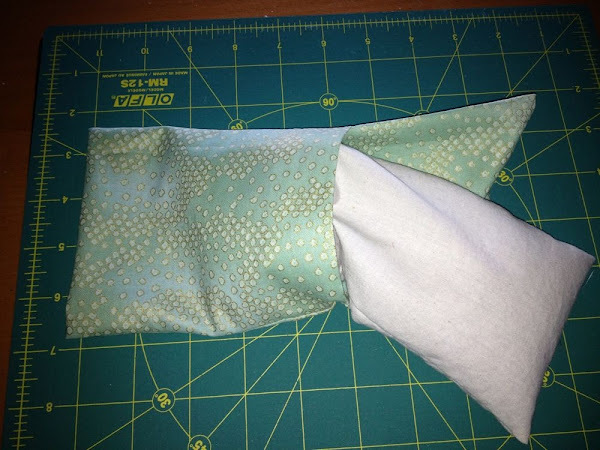 I have been looking for a way to make my lavender pillows with a cover. You explained this very well. Thanks again, really appreciate it. Love the idea – we use these at the end of yoga and it would be nice to have one at home. Can you heat them? I don’t see why you couldn’t. It’s all natural inside. I wonder what would happen to the flax seeds if they got too hot. 🙂 I used my first one during yoga too and they are hard to find and expensive when you do find them.